I realize That my posts have been few and far between lately. I have still been organizing like a maniac, and progress is being made. 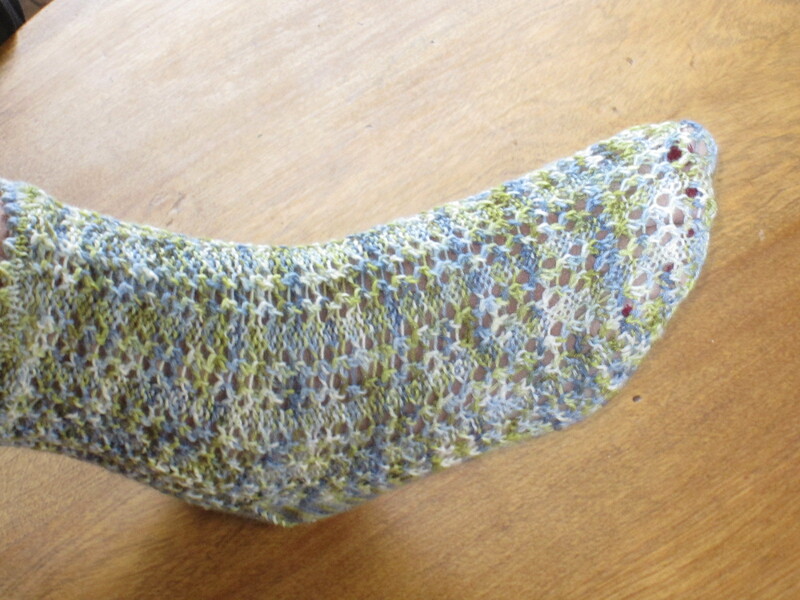 I’ve also been knitting, A lot. 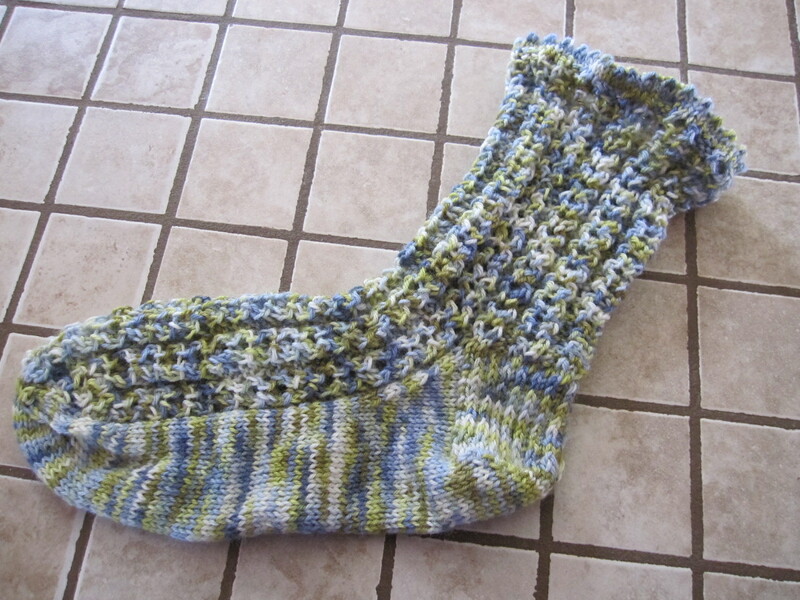 I finished the Spaghetti socks, with my lack of brain function lately I couldn’t come up with a better name. I’m really happy with the way these turned out. They fit really well and look more difficult than they are to make. I’ll be posting the pattern in a day or so. There was no one around when i went to take these pics so I used my own very pregnant foot. It’s not as easy as one might think to contort themselves into a position to get a reasonable sock picture when your 8 months pregnant. Just saying. I’ve made a few soakers. For those of you who don’t know what these are, ( and I didn’t up until recently) they are used to cover cloth diapers. They are made out of 100% wool. Because wool is waterproof and has antibacterial properties it’s a perfect cover for diapers. It also has the added benefit of being breathable. Plus since I hand paint my own yarn, it gives me a legitimate excuse to keep some of the colorways I like best. 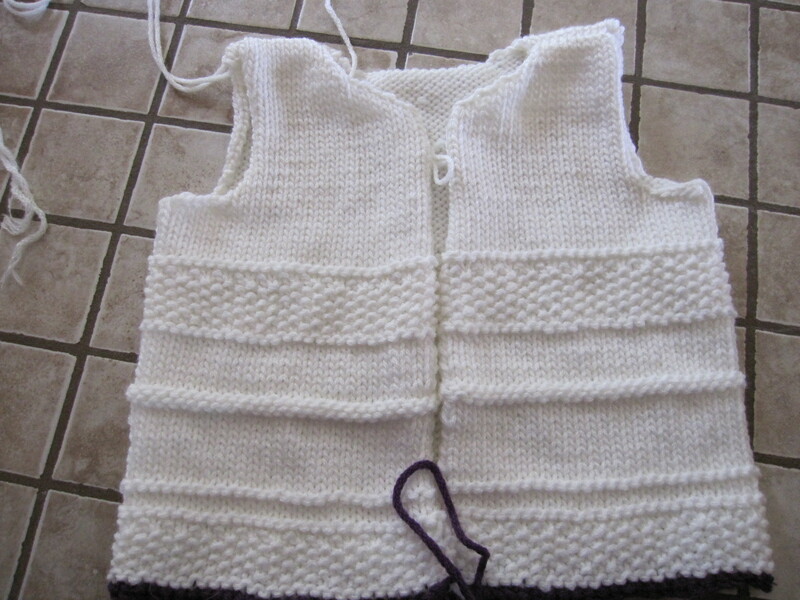 I have also almost finished the babies coming home outfit. 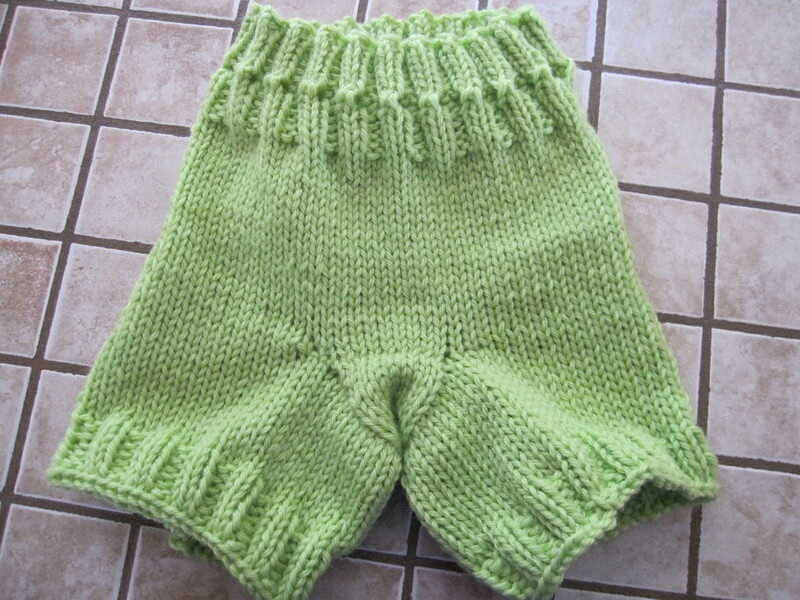 The pants and body of the sweater are done. 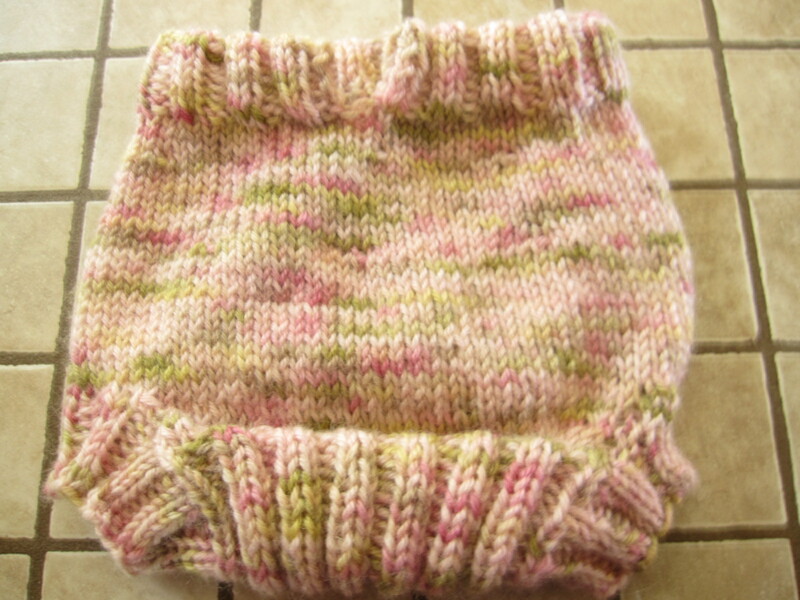 I finished one of the sleeves, but I didn’t like the way it fit, so I need to rip it back and reknit it.